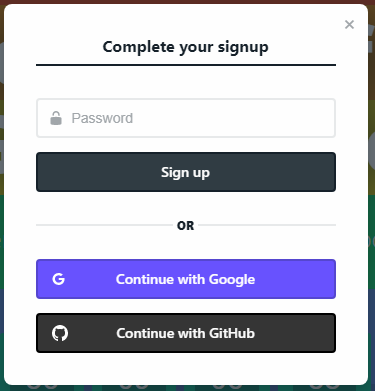 Your CMS users are likely to not have Github logins, so enable the Git Gateway to allow them to save and publish posts to GitHub without having to setup an account on Github. It is explained further in the Netlify Docs on Git Gateway The Git Gateway option is in settings under Identity, further down than the Registration preferences and external providers settings. The email inviting a user to use the CMS links to the homepage with a invite token in the URL, if you do not follow this step the user will be left looking at the homepage not understanding why they are there or what they should do next. Now when the user hits the homepage with the /#invite_token= in the URL the complete signup modal will appear.